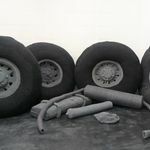 The artistic practice of Claudia Märzendorfer (*1969 Vienna, lives in Vienna) includes projects that elude conventional expectations about art as a process leading to a product. Her works of art – be it volatile installations made of dust particles or precarious ice sculptures like playable LPs fashioned from frozen water – tend towards volatilisation with no return. They deal with the suspension and infiltration of normal situations, such as in the case of the knitted (re)construction of component parts for a lorry. The engine of her artistic untertakings is driven by a nonacceptance of the given, essentially fuelled by the transience of time as most important element. At the same time, a wealth of knowledge about external determinats, conditions, and practices is part of her artistic production. One may best describe Claudia Märzendorfer‘s artistic practice as an attempt to portray a moment that seems to be out of control, at once impossible and somehow „wrong“. 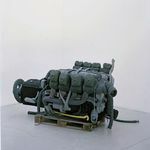 Rather than making works for eternity (and products for the art market), the artist is interested in the processual, the transformation, as well as in a work‘s complete dissolution or disappearance. 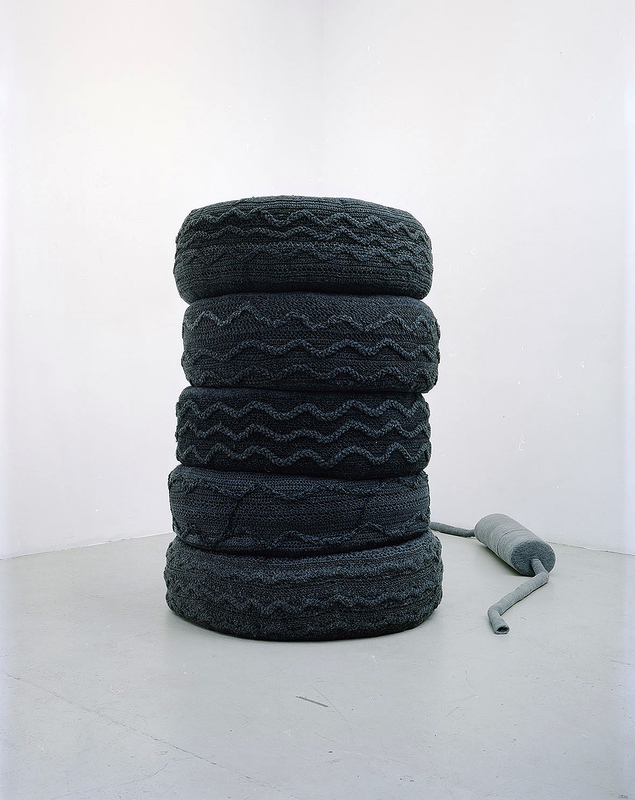 Thus, „time“ is a subject in all her works, both in ephemeral sculptural installations and in objects, which were produced with a monumental amount of time. 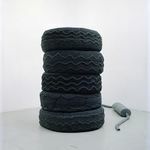 For the artist, time is the „only neutral currency“ – an entity that, regardless of background and social status is and remains the exact same measure. 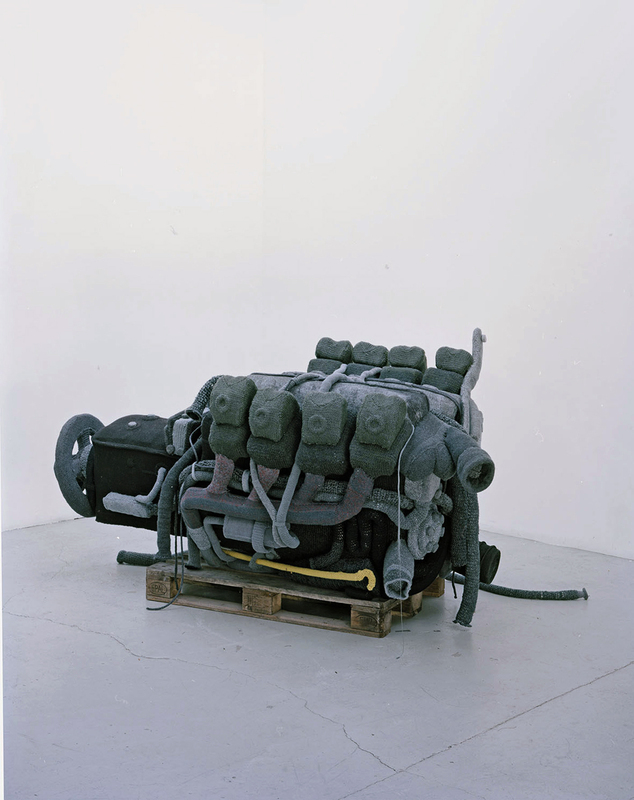 Since the end of the 1990s, Märzendorfer has been developing and working with a technique and material that meets her interest in the volatile and uncontrollable: she produces objects with frozen water – ephemeral, unstable sculptures, whose disintegration begins at the moment of their presentation. To go against the grain, take a point of view that is free from being functional or useful is a motor for the artist‘s creativity. Besides the already mentioned ice casts – of, a.o. drying, or rather: dripping laundry (Kaltwäsche, 1997 ff. ), records made of ice (Frozen Records, since 2005) or a prototype assembly kit (Als er das Messer in die Sonne warf, 2009) – her oeuvre also includes works that explore spaces by means of photography and drawing. 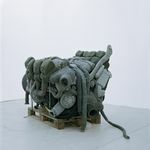 Then again, to make the objects from the group of works Ersatzteile [spare parts], it took an absurd amount of time and effort: over the course of eight years, the manufactured truck tyres, engine block and various other parts of a lorry slowly took shape stitch by stitch. 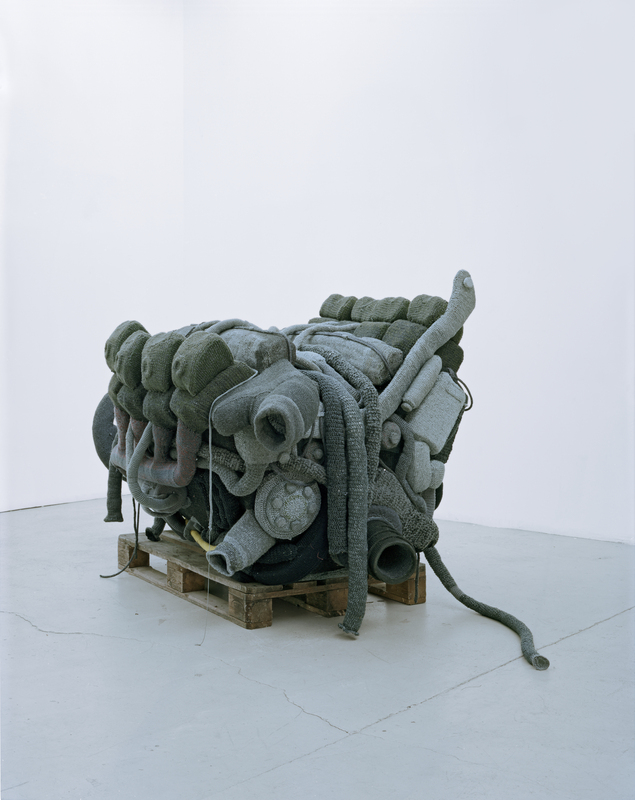 The engine block‘s organic tangle of knitted cords, tubes and chambers is reminiscent of viscera that have developed an independent existence. „In principle, my vision is that of a deviation or shift from the „standard situation“: to create a world next or parallel to the world because in most cases I find social guidelines and conventions too restrictive. I‘m often surprised about conformism and believe this is one of our society‘s fundamental problems. I often miss people‘s courage to change or improve situations or the general framework independently.“ (CM in an interview on sustainability, 2014). Born 1969 in Vienna, lives and works in Vienna. Studied Sculpture with Bruno Gironcoli at Academy of Fine Arts, Vienna.